Majid Al Futtaim, a leading retail and leisure pioneer in the region, plans to set up a new Dh300-million ($82 million) shopping destination in the heart of Masdar City, one of the world's most sustainable urban developments, in Abu Dhabi. The "My City Centre Masdar" mall will feature 60 outlets spread across 18,000 sq m of gross leasable area (GLA) including a 5,760-sq-m Carrefour Hypermarket, a Magic Planet family entertainment centre, a City Centre Clinic to provide community-focused healthcare services, and convenient dining options for both residents and professionals within Masdar City, said a statement from Majid Al Futtaim. Set to open by the end of 2018, My City Centre Masdar will deliver a convenient, neighbourhood retail experience which meets the daily shopping needs of more than 75,000 estimated consumers in surrounding areas, it stated. It will have easy access to adjacent developments and connectivity to planned smart public transport options including buses, light rail transit (LRT) lines, Group Rapid Transit (GRT) vehicles and the metro network, the retail pioneer added. Around 35 per cent of the city’s planned built-up area will be completed over the next five years and nearly 30 per cent has already been committed to, including private homes, schools, hotels and additional office space, said the statement. Up to 40,000 residents and 50,000 workers and students will be based at Masdar City by 2030, it added. Speaking at the launch, Ghaith Shocair, the chief executive (shopping malls) at Majid Al Futtaim Properties, said: "We are proud to announce the development of My City Centre Masdar, which promises to create great moments for everyone, everyday, for communities living and working in Masdar City. We are honoured to partner with Masdar City and salute their vision which is aligned with Majid Al Futtaim’s commitment to sustainability." The one-level mall, to be constructed using Majid Al Futtaim’s international sustainability standards, will have shaded parking for 430 vehicles on its rooftop through the use of photovoltaic panels, with My City Centre Masdar’s energy and water consumption targeted to be 40 per cent lower than comparable buildings, in line with Masdar City’s eco-friendly strategy. "The mall will aim to achieve an Estidama Three Pearl rating, which is the equivalent of Leed Gold building status for sustainability," he stated. 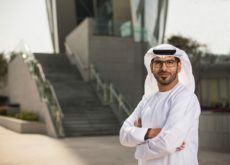 Yousef Baselaib, the executive director (sustainable real estate) at Masdar City, said the development offers a ‘greenprint’ for the future, embracing economic, social and environmental principles of sustainability. "The new mall is a testament to the emergence of Masdar City as a compelling destination for residents, business tenants and visitors," noted Baselaib. “We are proud to be collaborating with Majid Al Futtaim Properties as part of our ambitious plans to deliver world-class retail, residential, commercial and hospitality projects at Masdar City. 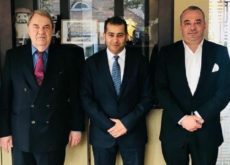 With several initiatives already well under way, we are looking forward to welcoming a growing number of visitors and businesses to the city,” he stated. "Ease of accessibility is vitally important for My City Centre Masdar, which will be served by integrated transport links, including an Abu Dhabi Metro line running along the main boulevard with a station situated next to the mall, within easy walking distance," he said. With this launch, Majid Al Futtaim continues its expansion and enters Abu Dhabi’s shopping mall landscape, as part of its strategy to boost its total investment in the UAE by Dh30 billion ($8.16 billion) by 2026, taking its total investment to Dh48 billion ($13 billion), said the company in a statement, according to Tradearabia news report. In addition to Abu Dhabi and Sharjah, the company is currently building new malls in Oman, Saudi Arabia, and Egypt, while redeveloping and expanding a number of its 20 existing retail and leisure destinations.